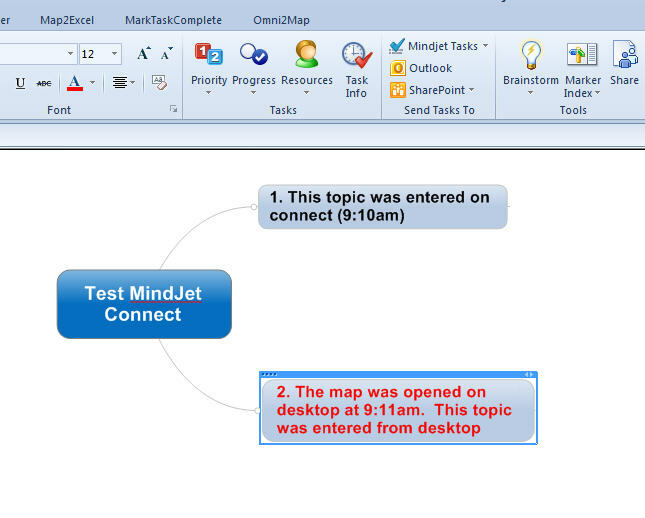 Mindjet 11 and Mindjet Connect Co-editing? 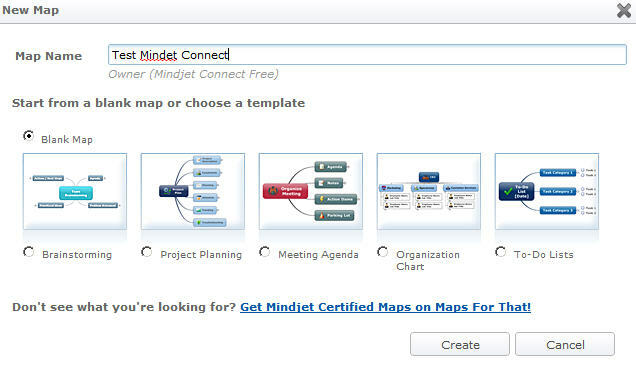 It has been a busy year so I haven’t had much chance to evaluate MindJet Connect. 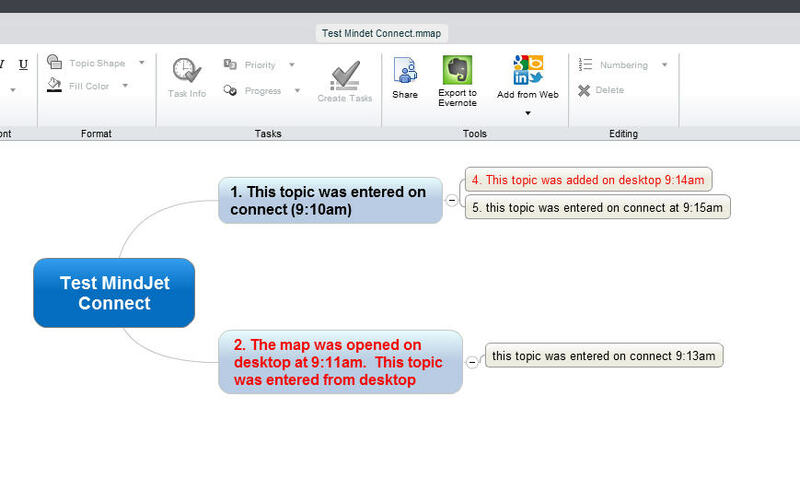 Most of my experience is with the legacy MindJet Catalyst, which I find very powerful for collaborative and simultaneous co-editing of maps from multiple desktop users. 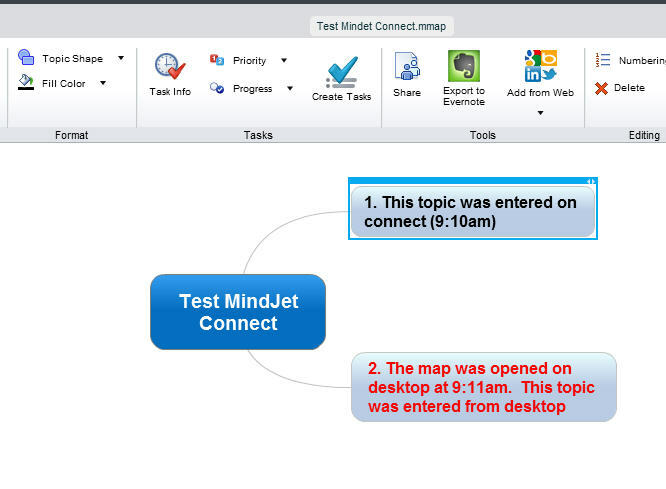 This morning I took a look at Connect (or the web portion of the new MindJet 11). It looks fairly good but I’m not totally clear on its co-editing capabilities. 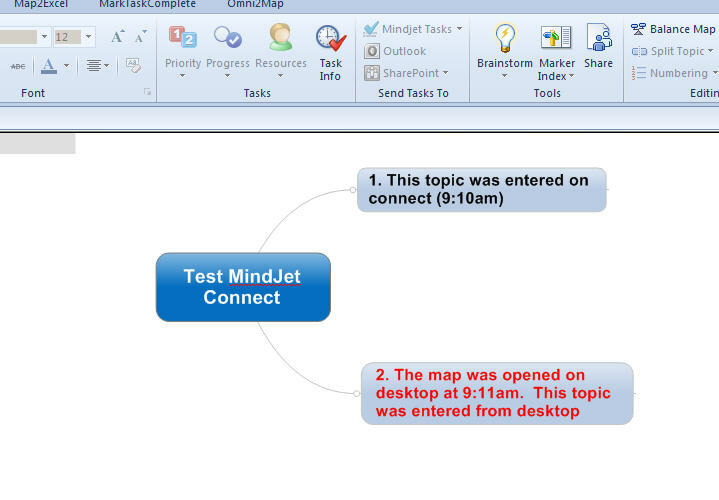 I tried an experiment where I opened a map on connect, entered a topic, and then opened that map from that desktop, entered another topic, then added a subtopic to the item added from connect, etc. In some cases, the topic entered in one system rapidly showed up in the other. In other cases, topic never made the jump. The experiment below ended with the desktop version saying that there was a newer version available of the map when I tried to change it. 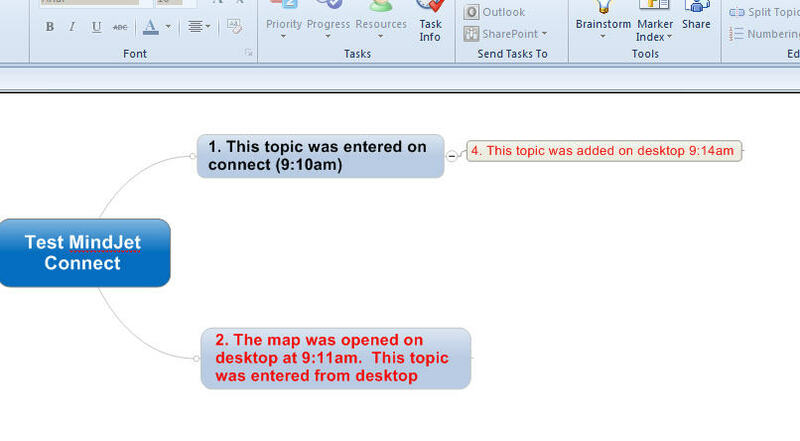 So can you simultaneously edit a map or not from desktop and connect? UPDATE: See comments — my issue here was likely that I was using it as the same user on the same computer. Different users from same computer or same user from different computers is likely fine. Same user from different computers would likely force a logout of the inactive user. 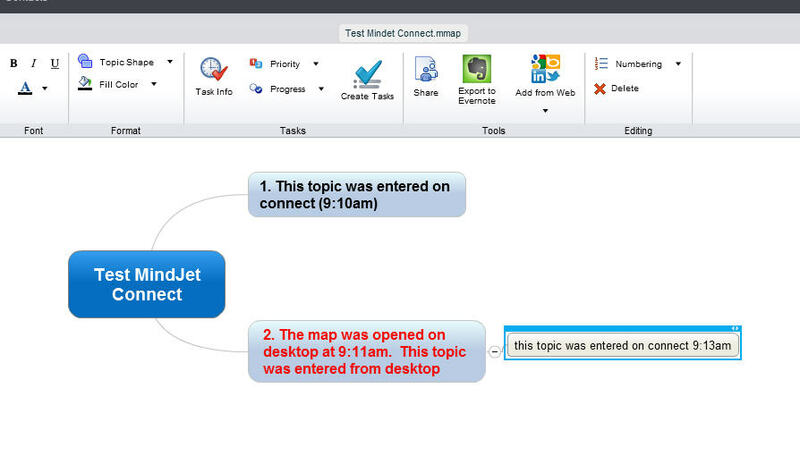 That subtopic doesn’t turn up in the Desktop map? It doesn’t turn up on the desktop? After this when I tried to save from the desktop it said there was a new version of the map and would I like to reload and loose changes. I tried this experiment a few times with similar results. Saving and committing changes didn’t seem to help. There is probably a pattern there somewhere. Any comments and experience in this area? I imagine simultaneous desktop or web users might have more consistent results and a single user map/web hybrid. Would anyone like to collaborate on a connect map regarding MindJet 11? Perhaps the designers thought co-editing was when at least two different registered users (as opposed to one user on two clients ala Rick Wakeman style) edited the map :). I have tried it in the past with similar results. Must give it a go on the Mindjet clients. Perhaps a crowd co-editing event should be organised?! Ah — I didn’t think of the same-user issue. I tested with a different account on desktop vs. web and didn’t see any issues with disappearing topics. It seems that a change to connect appears on desktop immediately while a desktop change requires a “save” in connect to sync up. The scenario I was testing was situation where a single user might leave a “to do” map open on a desktop a home occasionally and then need to update from work on web. Now that I think about it, in that scenario I think historically mindjet would complain and log the 1st computer out to avoid issues. Using desktop and web from the same machine is not a typical use case and doesn’t involve same user on different “computer”.